Ouch! In response to lifestyle, diet, and emotional pattern, our doshas; vata, pitta, and kapha, can easily move out of balance. These imbalances slow down agni, or digestive fire, resulting in the toxic by-product of inadequate digestion known as ama. Vata, the main active dosha, brings ama into the colon. From there, ama travels throughout the system, lodging in the bone tissue and joints, giving rise to the stiffness and pain characteristic of chronic joint disorders. Ayurveda works through both diet and supplementation to remove ama from the joints and move it back to the colon, where the body can then eliminate it. For this, we need to keep the colon clean and active. Triphala is the most commonly used herb for cleansing the colon, or the combination of Triphala and Guggul. 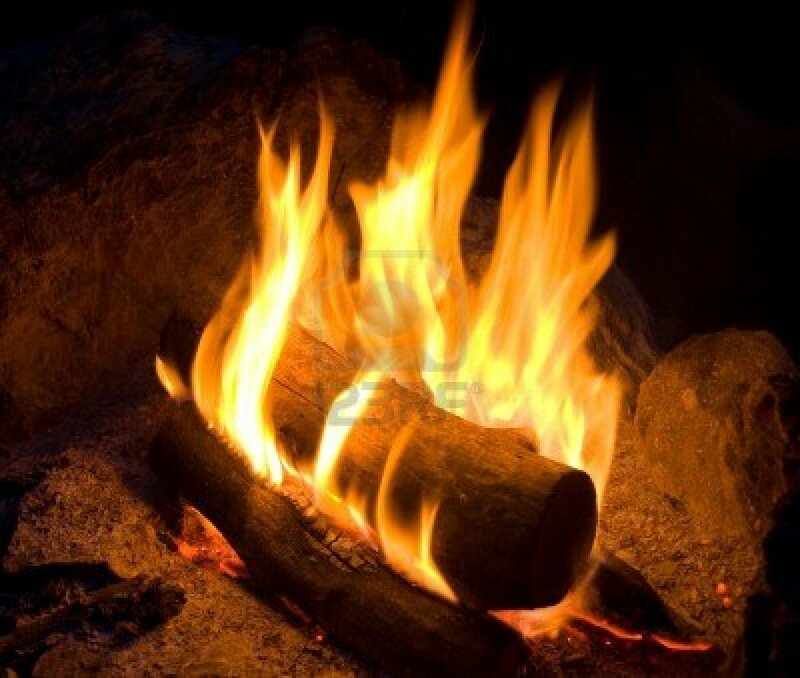 Ayurveda recommends general techniques to increase the intensity of agni and burn up the toxins harming the body. We begin with our food by adding more spices to the diet, such as turmeric, chilis, pepper, cardamom and cloves when cooking. Herbal extractions of Turmeric Curcumin and Boswellia support a healthy inflammation response and ease of movement, while Ashwagandha helps balance all the doshas and reduce negative effects of stress in the body. Various oils may be applied to the skin to help the body clear toxins, relieve pain and restore mobility. Ayurveda has used two traditional oils in particular for thousands of years: Maha Vishgarbha Oil and Maha Narayan Oil, both containing dozens of herbs in a sesame oil base. Massaging these oils into painful areas can improve flexibility, stiffness, muscle fatigue, circulation and ease pain. These oils when massaged into the skin can also assist in breaking up blockages. After oil application; warm heat, yoga, bath, and mild exercise can further relax and relieve the body. Tattva’s Herbs Joint Care Oil, featuring Boswellia as a topical option, is also a potent and cooling application for both chronic and acute situations. You May Also Like to Read – How to Enhance you Inner Strength using Ashwaganda? Guggul is a time tested Ayurvedic Herb that has proved to maintain healthy cholesterol in the body. Guggul or guggulu (commiphora mukul, also commiphora wightii) is derived from the gummy resinous exudate of a plant closely related to myrrh that is found in arid to semi-arid areas of Northern India, Bangladesh and Pakistan. This tree has been used in Ayurvedic medicine for centuries, and Ayurvedic texts dating back to 600 BC recommend it for treatment of atherosclerosis and digestive disorders. The Sanskrit definition of the term “guggul” is “one that protects against diseases.” This attests to the wide respect and therapeutic Ayurvedic applications for this botanical, considered to be the most important herb for the removal of “ama,” or toxic substances which accumulate as a result of sluggish digestion and circulation associated with a slowing of metabolism. Similar to another important Ayurvedic preparation called triphala, guggul is considered tridoshic, or balancing to all three doshas in the body. The three doshas, or bodily constitutions represent the foundation of traditional Ayurveda. These are: kapha or the anabolic humour, watery humour; pitta or the catabolic, fiery humour; and vata, the air or nervous system humour. When all three humours are in balance, the result is health and wellness. When one or more are in excess or deficient this represents imbalance or disease. Guggul stimulates pitta and thus enhances warmth, digestion, circulatory and reproductive processes. It also regulates vata (nerve force) and kapha (fluidic aspects). As an “ama”-resolving herb, guggul has a wide range of applications beginning with rheumatic and arthritic pains, lowering high cholesterol, “hardening of the arteries” (atherosclerosis), and obesity. Guggul is warming and stimulates metabolism that is why it is one of the few botanicals that has been used to treat hypothyroid conditions. In addition, it is used to treat a sluggish liver, malaria, to stimulate libido, nervous diseases, bronchial congestion, cardiac and circulatory problems, weak digestion, gynecological problems, leucorrhea, sterility, impotence, and various skin diseases including acne and psoriasis. (One of the substances contained in Guggul which is known to lower cholesterol and triglycerides is also noted for its ability to decrease the redness and swelling that occurs in some types of acne) Guggul, as with other resins, is excreted through the skin, mucus membranes and the kidneys. This is what makes it particularly useful for the urinary tract and for a wide number of skin diseases. Guggul has been used for over 3,000 years and is described in all of the classical Ayurvedic texts including the Sushruta Samhita (3rd to 4th centuries) where it is especially recommended for the treatment of rheumatic pains and obesity, as mentioned above. It is one of the most important rasayanas (herbal tonics) of Ayurveda where it is described as warm, dry, pungent-flavored, and aromatic with nutritive, lubricant, stimulant and digestion-enhancing properties. Current research substantiates its benefit for the treatment of elevated blood lipids and coronary and arterial plaque known as atherosclerosis. As a result, today in India standardized guggul extracts are being approved for lowering elevated serum cholesterol and triglyceride levels. Click Here for Tattva’s Herbs Guggul Co2 Extract. Triphala is widely used in Ayurvedic medicine and the three fruits that comprise it are Amalaki, Haritaki, and Bibhitaki. Triphala has long been used for a wide array of ailments and has countless beneficial properties. Regular use can do wonders for your body, mind and spirit. Here is a list of what we feel are the top 10 benefits of taking this incredible product. These are just a few of the most well-known ways in which Triphala benefits our health. We suggest everyone use Triphala as a preventive and experience the bountiful health benefits offered. Ayurveda views the health of the body as the functioning of a biological fire governing metabolism. It is called agni. Agni is not simply a symbol for the power of digestion. In the broader sense, it is the creative flame that works behind all life, building up the entire universe as a stage by stage unfoldment of itself, which, thereby, contains within itself the key to all transformations. ode in plants, which contain the agni of photosynthesis. When agni is strong, food is digested properly, toxins of various kinds, largely from undigested food particles, (called ama in Ayurveda), accumulate and breed disease. Plants contain agni, through which they digest sunlight and produce life. Herbs can transmit their agni to us, their capacity to digest and transform, and this may augment our own power of digestion, or give us the capacity to digest substances we normally cannot. The agni of plants can feed our agni. Through this interconnection, we join ourselves with the cosmic agni, the creative force of life and healing. The agni from plants is magnetically attracted by its opposite nature to the negative life-force of the ama, or various toxic accumulations in our body. The result is their neutralization and a restoration of harmony. 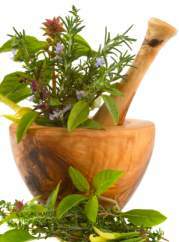 Herbs can be used to supplement agni and thereby restore our autoimmune system. This restores the power of our aura, which is nothing more than the glow of our agni. By their very nature the fight herbs and spices can feed agni, directly strengthening the basic energy of the body-mind, allowing for the right digestion, not only of food but also experience. Triphala Guggul is a classic Ayurvedic formulation that we are pleased to be able to provide to you in Supercritical (Co2) form. Both are popular herbs found primarily in India, but they have been used in the United States and Europe as well, as a natural remedy for several conditions. This premier formula combines the antioxidant and digestive support of Triphala with the cholesterol and metabolism support of Guggul. Triphala – Guggul has been proven to help maintain healthy weight control, cholesterol levels, proper digestion and food absorption, metabolism, keeping the arteries clear, and overall as a natural health tonic. This herbal combination is extremely cleansing for the body and can help rid the body of many deep-seated toxins that are buried in the body’s soft tissues. Toxins can accumulate in and around your joints, causing joint pain, arthritis, muscle aches, and rheumatism. Components of triphala guggul may be able to bind to these toxins and remove them through your blood stream. The process of removing toxins from around your body’s major joints may also help reduce joint inflammation, or swelling, that can cause discomfort or pain. Triphala guggul has been reported to help your body maintain healthy levels of both good and bad cholesterol. High or unbalanced cholesterol levels can increase your risk for developing heart disease. Good cholesterol, or high-density lipoprotein, may be elevated with the regular supplementation of this herbal extract. Bad cholesterol, or low-density lipoprotein, may be lowered with supplementation. This may also lower your blood pressure and hypertension, which reduces the risk of heart disease. The triphala and guggul combination has been used in India as a digestive aid for centuries. Compounds in the resin extract may strengthen your digestive system by increasing the amount of hydrochloric acid and other enzymes that are responsible for the breakdown of food in your stomach. The formula may also improve absorption of nutrients by acting on the enzymes found in your intestinal tract. Triphala is composed of three herbs: Haritaki, Bibhitaki and Amalaki. Amla helps to maintain healthy cells in the intestinal wall, and the fruit contains the highest natural known source of vitamin C. It is said to have 20 times the vitamin C content of an orange. Bibhitaki acts to promote healthy mucus levels. The last is Haritaki, which acts as a bowel toner, rather than a laxative. These three herbs work in consort to gently promote internal cleansing of all conditions of stagnation and excess, while at the same time, they aid in healthy digestion and assimilation of food. Tattva’s Herbs’ natural supplements combine the wisdom of Mother Nature with the very latest technology known as supercritical extraction. This state of the art technology delivers a very pure extract that is both full spectrum and extremely concentrated at the same time. It is so pure that you can actually smell the qualities of the original herb in the extract, and you are greeted with this aroma when you open a bottle. It is sweet and powerful. There is simply no other extraction method so effective that you can actually smell the purity, fragrance and essence of the herb. This is a testimony to the great care that goes into the selection of the herbs and the supercritical extraction process itself. To give you an idea of the potency and concentration of the extract, we can often use as much as 200 to 250 pounds of fresh herbs to produce just one pound of supercritical extract. All of the herbs are grown on organic farms and selected with the greatest of care. The supercritical process produces an exceptionally broad representation of the herbs’ active constituents, which oftentimes traditional methods of extraction cannot even begin to extract. Furthermore, the supercritical process does not use any chemical solvents at all. Instead, it utilizes safe and environmentally friendly carbon dioxide, the same carbon dioxide that is found in your sparkling water. Click Here for Tattva’s Herbs Triphala Guggul. ­Tattva’s Herbs natural supplements combine the wisdom of Mother Nature with the very latest technology known as supercritical extraction. This state of the art technology delivers a very pure extract that is both full spectrum and extremely concentrated at the same time. It is so pure that you can actually smell the qualities of the original herb in the extract, and you are greeted with this aroma when you open a bottle. It is sweet and powerful. There is simply no other extraction method so effective that you can actually smell the purity, fragrance and essence of the herb. This is a testimony to the great care that goes into the selection of the herbs and the supercritical extraction process itself. To give you an idea of the potency and concentration of the extract, we can often use as much as 200 to 250 pounds of fresh herbs to produce just one pound of supercritical extract. All of the herbs are grown on organic farms and selected with the greatest of care. The supercritical process produces an exceptionally broad representation of the herbs’ active constituents, which oftentimes traditional methods of extraction cannot even begin to extract. Furthermore, the supercritical process does not use any chemical solvents at all. Instead, it utilizes safe and environmentally friendly carbon dioxide, the same carbon dioxide that is found in your sparkling water. 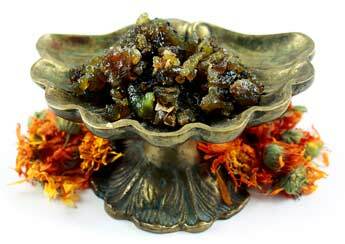 Click here for Tattva’s Herbs Guggul. ‘Tis the season of revelry and feasting. As much as it is universal to indulge at this time of year, is it common to be thinking in the back of our minds how we will reconcile, how we can make it up to our bodies after all of the indulgence is over. Thus, the seeds of New Years resolutions get planted. Such is the nature of a culture of extremism, of feast or [often self-imposed] famine. Perhaps a more balanced approach to optimal health is regular short fasts. With a healthy diet consisting of real, whole foods, there is no need to crash diet, nor is there a necessity for prolonged fasting. It is, however, an often overlooked must to give our digestive systems, and in turn, our entire bodies a break from consumption. Just like we, as human beings, will often go crazy without vacation, so will our digestive systems. This all came to my attention the day after Thanksgiving. Despite the fact that my health-conscious guests supplied the table with after-dinner digestive teas and concoctions, and despite the fact that I managed to get out of the meal without feeling stuffed to capacity, and despite the fact that I felt surprisingly light the next morning and ready to eat breakfast, Friday, as it progressed, became a day of uncomfortable indigestion and bloating. Like I said, I cannot attribute this to overindulgence at Thankgsiving dinner for the reason that my indulgence the night before was unusually in check. It was not until the evening that I was standing in my kitchen, gazing rather blankly at a calendar on the wall given out by a local Hindu temple, that I noticed it was Ekadasi. What is Ekadasi, you ask? The word means eleven in Sanskrit, and refers to the eleventh lunar day of the bright (shukla) and dark (krishna) fortnight (paksha), or fourteen days of every lunar month as the Hindu calendar has it. This biweekly occurrence corresponds to the times in which the moon is both closest to and farthest from the earth. For this reason, these are also the times of high tide and low tide, respectively. In Hinduism (especially Vaishnava traditions) and Jainism, Ekadasi marks a particularly auspicious time, in which devout peoples will choose to fast. The day is usually devoted to meditation and divine worship. There are many stories that explain the significance of these days. Just as fascinating, however, is the correlation between the lunar rhythms, and the effect of the water in our bodies. Given that our bodies are at least 60 percent water, it only makes sense that we must be affected in some way by the rhythms of the moon. Some sources claim that digestive secretions are at their lowest on these days due to the magnetic pull of the moon on our bodies. For similar reasons, our minds are said to become affected. For these reasons, it is best not to burden our body with food and even water during this time. In my travels in India I had heard of such ideas. I read about Ekadasi, and found it completely fascinating. I thought, at the time, that perhaps I, too, should observe these days by fasting. I did, though, have the idea of Ekadasi in the back of my mind. I did reflect on the effect the moon must be having on my body. And I did start to pay attention to when my digestion felt “off”. I would check, just out of curiosity, at the Hindu calendar on my wall, and more often than not, find that the days in which I felt bloated and as if anything I ate would just sit in my stomach and expand, were in fact Ekadasi! Noteworthy is the fact that I more often than not could not find anything to attribute my indigestion to—no unusual foods eaten, no other illness, no regular correlation with menstrual cycles, etc. Here marks my new exploration into the affect of the moon on my own body. In attempts to realign with the macrocosm and the forces of nature, and to employ a regular gesture of lending my system a chance to rest, and my spirit a chance to connect with something greater with just a little more ease, I am choosing to observe Ekadasi for the next year. I am starting my New Year’s resolution a month early. And I am abandoning all temptation to do an extreme crash diet to combat my holiday indulgences, that will only end up in me scrambling for a box of chocolates come February. Instead, I am choosing a much more sustainable approach, that my body seems to have been asking me to do for some time.